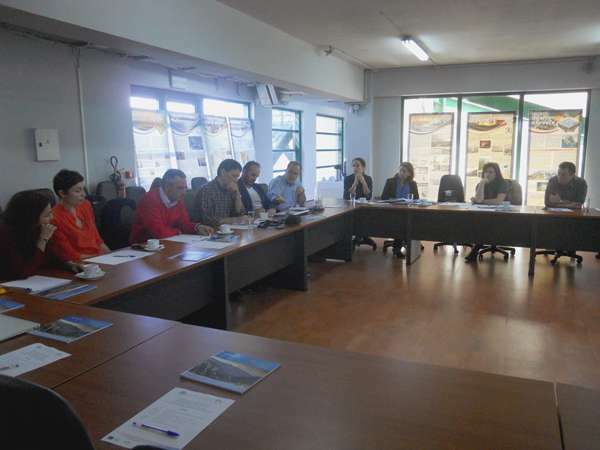 On Friday, November 20, 2015, the 1st Workshop of the Project Partners: "Promoting awareness to prosecute crimes against wildlife and the emergence of environmental responsibility to deal damage against biodiversity in areas of the NATURA 2000 network in Crete » [LIFE14 / GIE / GR / 000026 - LIFE NATURA THEMIS] took place in the Exhibition of the Natural History Museum of Crete (NHMC), Heraklion (premises in Sophocles Venizelos Avenue, Dermatas Bay). The meeting was aimed to familiarize the representatives of partners among themselves with the specific objectives of the program. The partners discussed coordinating and management topics as well as issues related to the project and related to their responsibilities. An action plan of the implementation of the project for the first year was prepared and the participants confirmed once again their desire for close cooperation in order to comply with the schedules and objectives of the program.